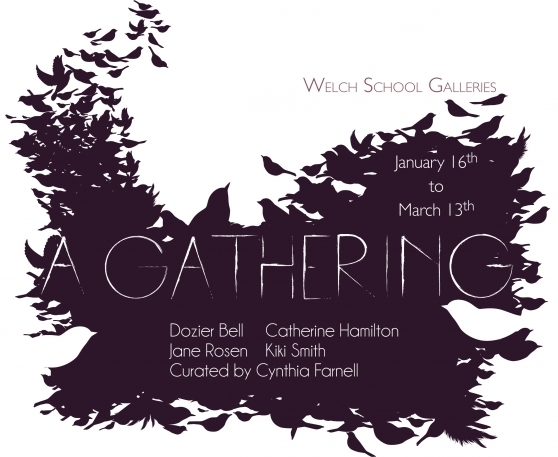 I am happy to announce “A Gathering: Dozier Bell, Catherine Hamilton, Jane Rosen, Kiki Smith” at The Ernest G. Welch School of Art and Design Galleries, Georgia State University. The exhibit runs January 16 – March 13, 2014. Opening reception is Jan 16, from 5:00 – 8:00 pm.